I would tell you all about its perfect placement on the Adriatic Sea, it’s ideal location just east across the sea from Italy and just north of Greece. 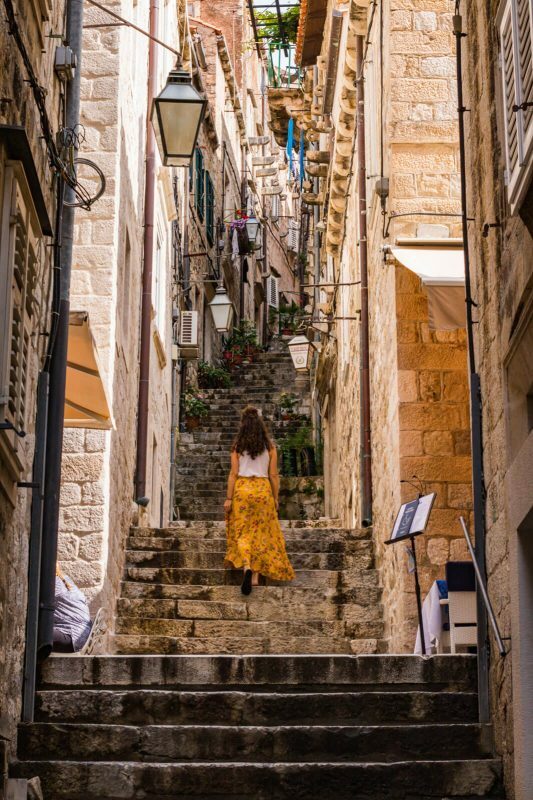 And perhaps that is why Dubrovnik does not get the poetry it deserves; it is the gorgeous little coastal town tucked in between two world-renowned geographical locations in a country that’s still up and coming. I am here to tell you that Dubrovnik deserves its odes and sonnets. In fact, it is even a UNESCO World Heritage Site! A global community has decided this place is a must see. Who are we to argue? Simply take a few Dubrovnik tours and you’ll see just why this remains one of the most attractive tourist spots in the Mediterranean. 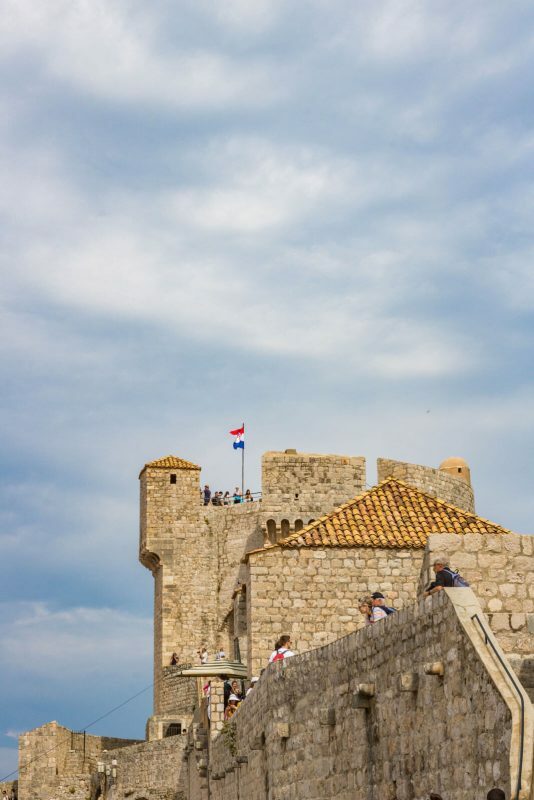 Stay put within the city limits and enjoy the local Dubrovnik day tours. There’s plenty to do right here. 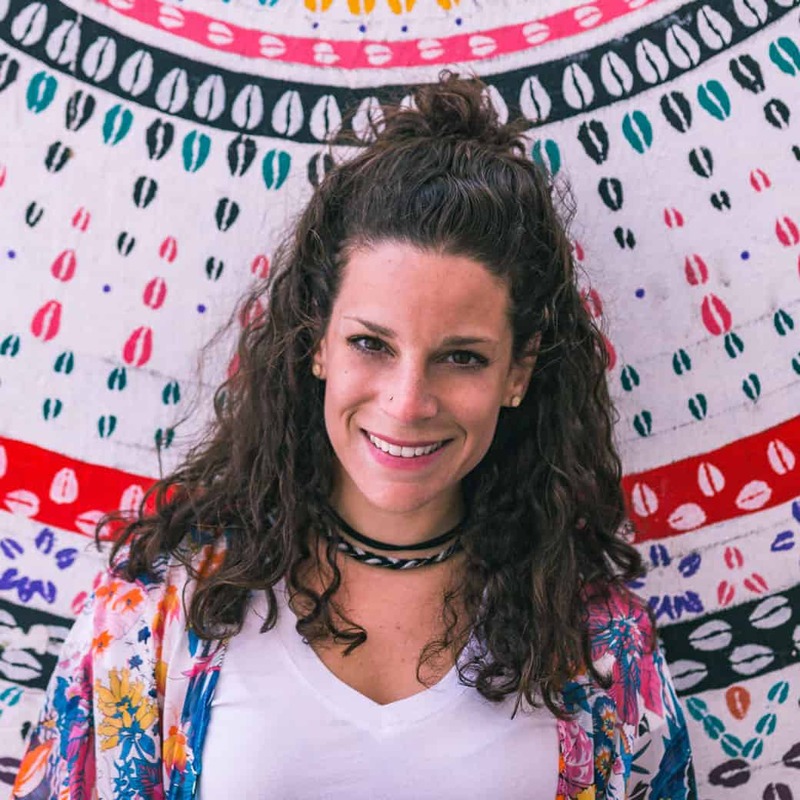 From walking tours to sunrise strolls, you can learn about the history and the geography of this captivating place. You can even just take a tour of awesome photo worthy sites! 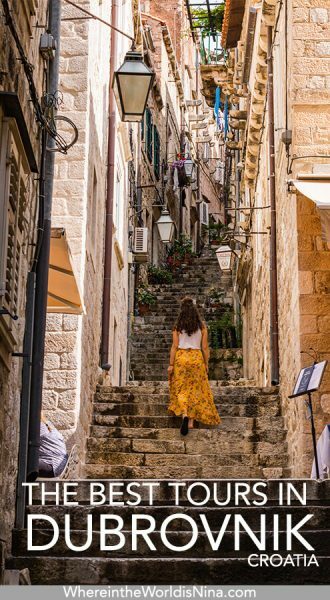 Walk around Old Town Dubrovnik for an hour while a highly experienced, and often funny, guide regales you with the history of the churches and fountains. 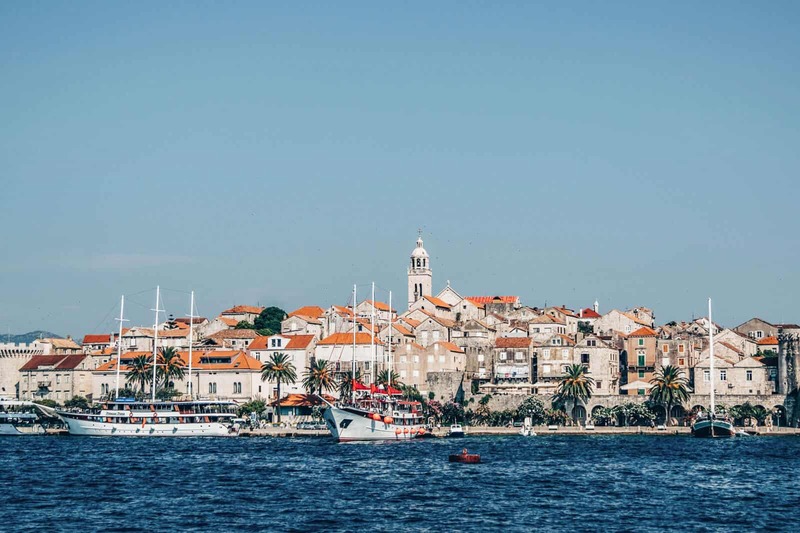 You’ll also get to check out some old wine vines (like REALLY old) and the shipping company that built the historically famous Dubrovnik ships. 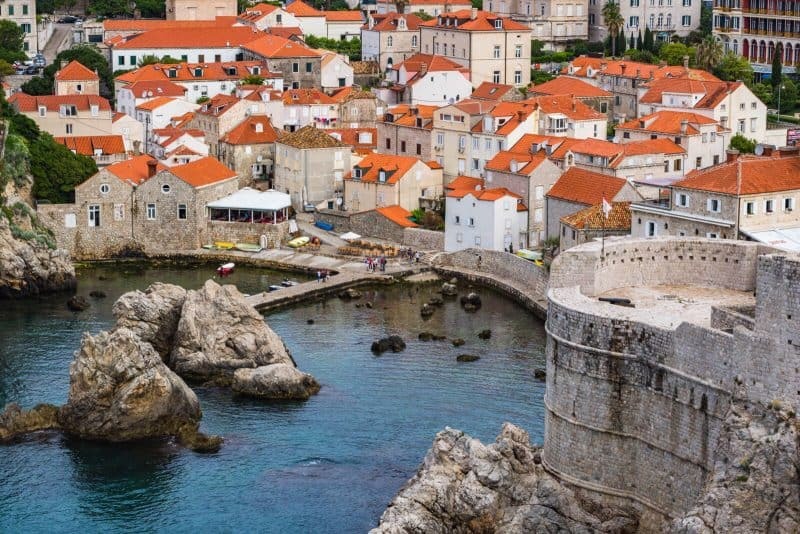 If you do have the time and inclination, and you have become one of the millions of GOT fans, then this is the Dubrovnik tour for you. 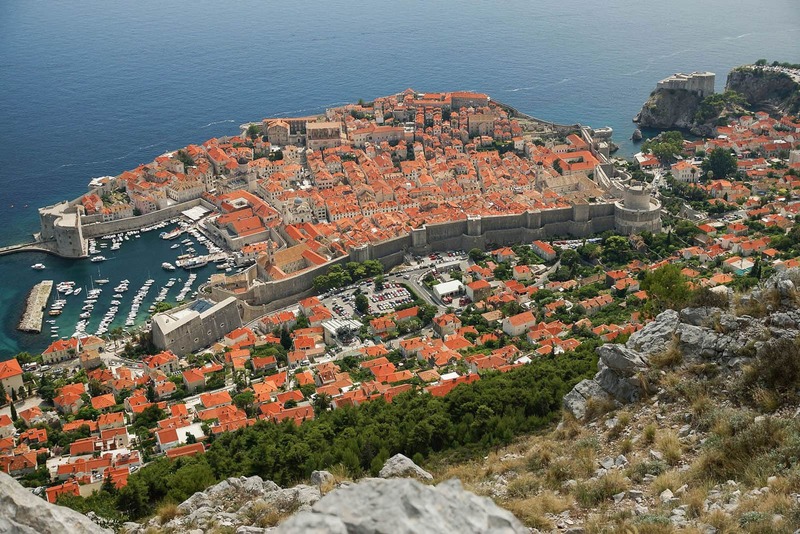 Dubrovnik is home to “King’s Landing.” Do you know what that means? You can’t come all this way and not pay homage to your show. Don’t worry about stranding off to Flea Bottom though. Why settle for just one film set when you can visit three?! 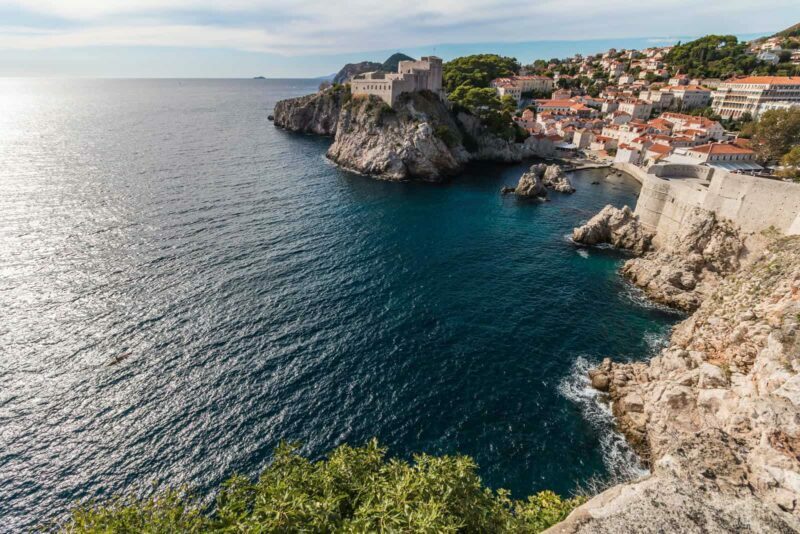 If you’re more than just a Game of Thrones fan; if you’re a died in the wool film fan, this is the Dubrovnik tour for you. Yes, you’ll get to check out the Iron Throne, but you’ll also visit the location of Star Wars famous gambling city Canto Bight and the site of Robin Hood: Origins. Movie goers paradise. One hour not enough for you? Thumbing your nose at a simple city walk? Then you need some tour steroids. This Dubrovnik tour is the beefed up version of the walking tour. Here, you’ll get to walk through old town, check out the churches and historical architecture there, and then you’ll go on to examine the old city walls. The walls walk will teach you about Dubrovnik’s role in past wars and other conflict. The history buff in you will love this Dubrovnik day tour. Where are the “picture perfect” spots to post to Snapchat or Instagram? This tour will help you out with that. Among other photo ops stops, you’ll get to stand on the Franjo Tudman Bridge, you’ll gaze out from the summit of Srd Hill, and you’ll look into the Ombla River. After this Dubrovnik day tour you’ll have plenty of photographic memories to send home. Of all the possible ways you could take a Dubrovnik day tour, cable car has got to be one of the most fun. 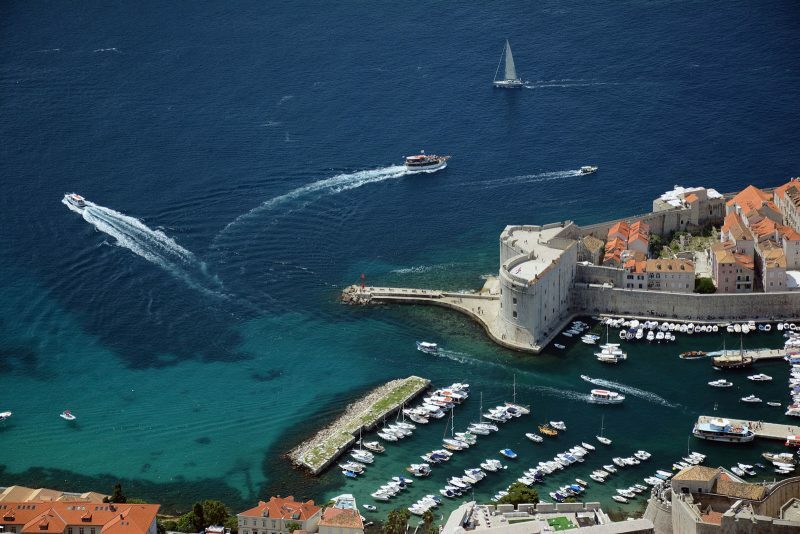 You’ll get gorgeous views of the Adriatic Sea and many of the sites of Dubrovnik. The cable car will take you up Mr. Srd and then back down to see the classic stops in the city. Onofrio’s Fountain and the Pieta Sculpture inside the Franciscan Monastery are just a few on this Dubrovnik tour. Set off from Old Town in a kayak and paddle along the city walls. You’ll take your kayak to the nearby island of Lokrum where you’ll get to disembark and hang for a bit on the island, reveling in the atmosphere and swimming and snorkeling. 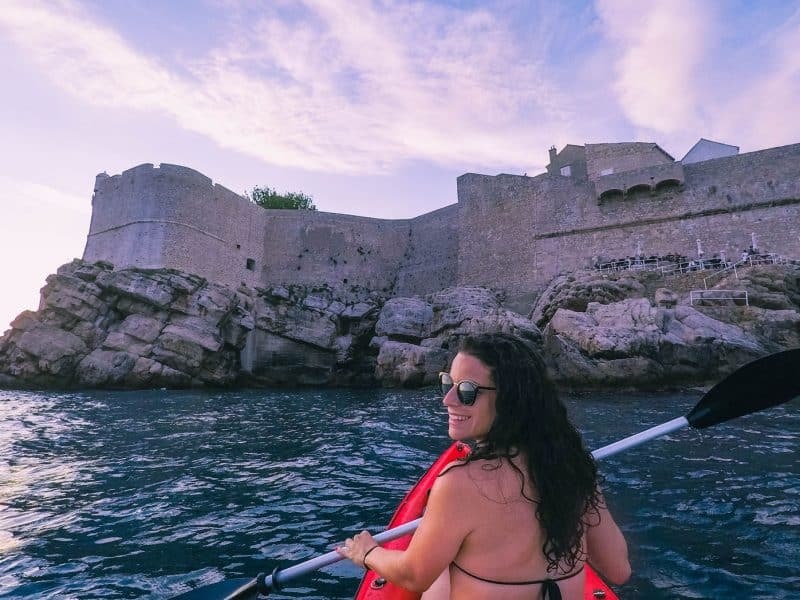 Kayaking around Dubrovnik’s Old Town. You can explore caves in the kayak before you head back to watch the sunset from your spot in the water over the Island and Old City. 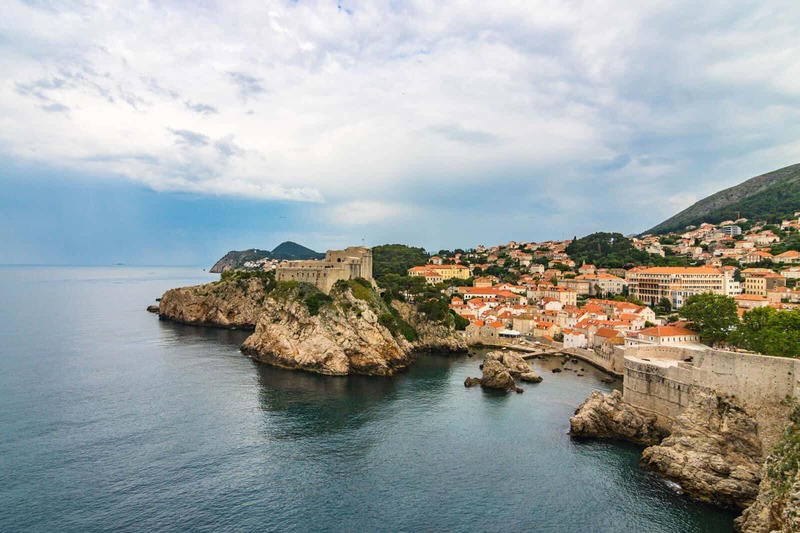 This is a Dubrovnik tour you don’t want to miss. So you’ve seen all there is, or all you want, to see inside and just outside of Dubrovnik, via land and sea. Now you can venture a bit further out and explore even more. Wander more islands, visit fortresses, and explore small wineries. Wander in and around Croatia’s favorite kayak and diving island, Kolocep. It’s a place full of natural wonders and sweet little villages. Take a kayak out and around the island to explore caves and reefs. If you don’t know how to kayak yet, you can even get basic instructions and safety guidance. If you like either food or history, this tour is a good one. If you like both food and history, then you have to take this Dubrovnik day trip. You’ll check out a few wineries outside of Dubrovnik and around the city of Ston, which is famous for its giant 5 km wall. Great food and great history, what’s not to like. Then you can head across the water on a boat to the island of Korcula, and you’ll get to hear the history of Marco Polo, who was born here. As if that wasn’t enough, you can also taste Croatian cuisine at one of the local restaurants. Exploring, sipping, and sunning. 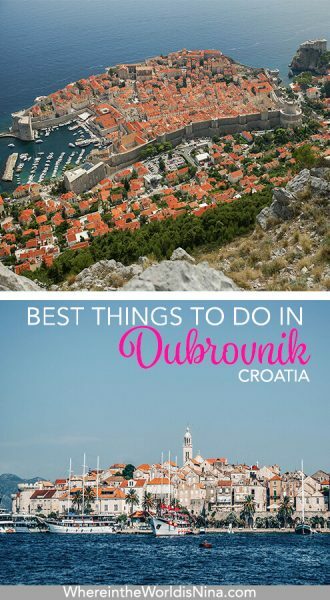 That’s what you’ll be doing on this all day Dubrovnik day trip. Take a boat out to the island of Kolocep to wander among citrus groves. Then you’re off to the island of Sipan, where you can meander through houses that date all the way back to the 15th century. Finally, head out to Lopud, where you can just chill. The white sandy beaches and calm waters will invite you to relax and reflect on a day well spent. The great thing about it all? You’ll be served adult beverages of your choice all along the way. Kayaking around Elaphite Island is popular as well! Get on a boat and go island hopping. If you, like me, enjoy soaking in an area in relative peace and calm, doing the usual things most tourist opt out of, you’ve got to take this hike. You’ll spend three hours trekking through Adriatic plants, climbing mountains and exploring trails. You can even jump off a cliff! Into water of course. Your guide will show you the perfect cliff dives and swimming holes as you wander. This is ideal for the lone (mostly) rangers among us. If you like wine like I like wine, you’re gonna love this Dubrovnik day trip. It is all wine all the time. Not only that, but you’ll be taken to a handful of different wineries by an actual certified sommelier. And as if that wasn’t enough, you’ll enjoy the gorgeous views of the wineries nestled in canyons and valleys along the Peljesak peninsula as you hop from tasting to tasting. It’s already pretty damn cool to be staying in a UNESCO world heritage site. How awesome would it be to then travel to yet another UNESCO site? Take this Dubrovnik day trip and that’s what you’ll do. Visit Dubrovnik and check another UNESCO site! 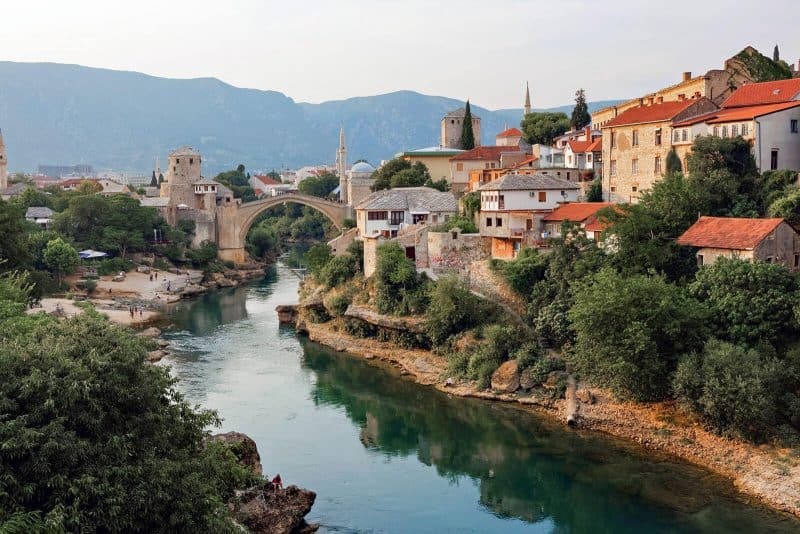 The Old Bridge Area in Mostar, just a short drive from Dubrovnik, is one of these historical sites. You’ll be driving along the Neretva river, where you’ll cross the bridge, and continue on to some of the most gorgeous waterfalls in the world. If you know anything about me, you know I want to be able to jump in the water. And here you can! You can swim under the falls and take in the surroundings at your leisure before calling it a day and heading back. Click the picture to pin for later!